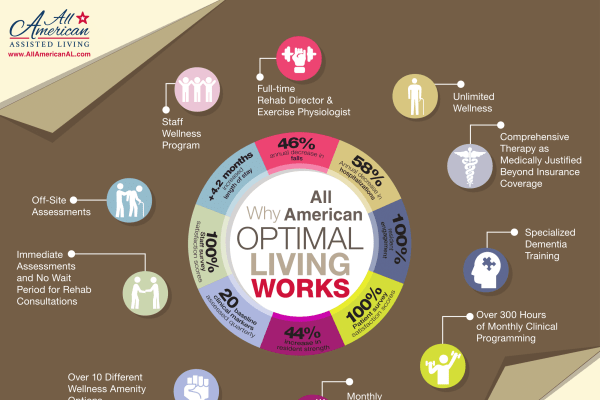 All American Assisted Living at Washington Township prides itself in providing evidence-based health and wellness programming that is clinically excellent as part of a fresh, new approach to health care and wellness benefitting residents, families, and associates. 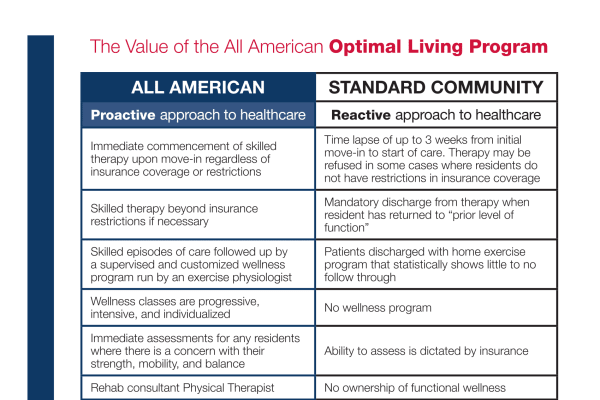 Exercise and wellness programs and seminars are part of the proactive approach to health and wellness which is improving functional wellness and quality of life for residents. A reduced risk of falls through increased strength and balance, a decrease in hospitalizations, and an increase in overall satisfaction are benefits experienced by residents.